UPDATE: This entry won the art challenge for the month of February. WOW! I love the way the texture of this art brings it to life. Plus the light values of the search beam breaks up nicely what could have been a drab overall feel. All in all, I think it’s a very dynamic piece. You could say this was Batman’s Grandfather. Maybe the superhero gene skips generations? Hi. Thank you for sharing this wonderful picture. Would you mind if I get this printed for my personal use. This is fan-freakin-tastic! Would you mind if I tattooed this if I gave you full artistic credit? 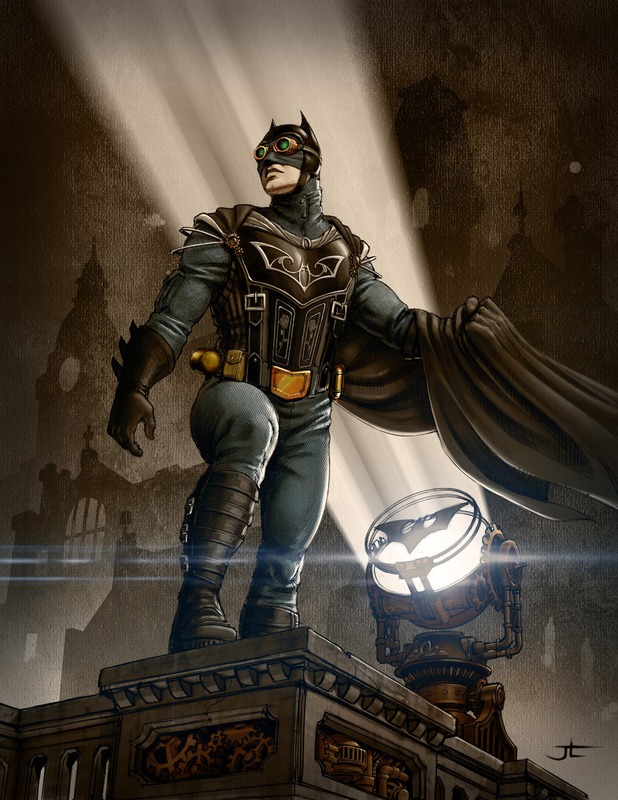 I just for some reason thought of a Steampunk Batman, so i did an image search. I saw this opened it up and this is pretty much what i was visioning in my head. AWESOME WORK! !